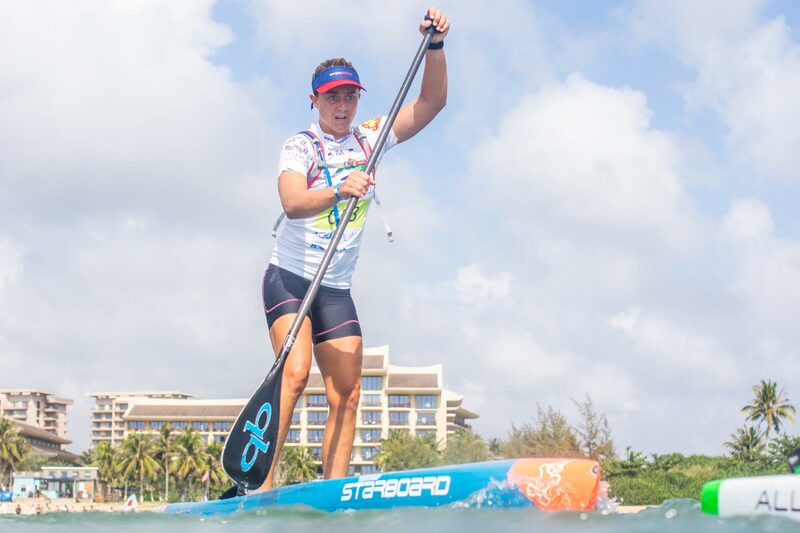 Australia’s Shakira Westdorp had arguably one of the best performances at this year’s ISA SUP & Paddleboard World Championships, hosted by China. 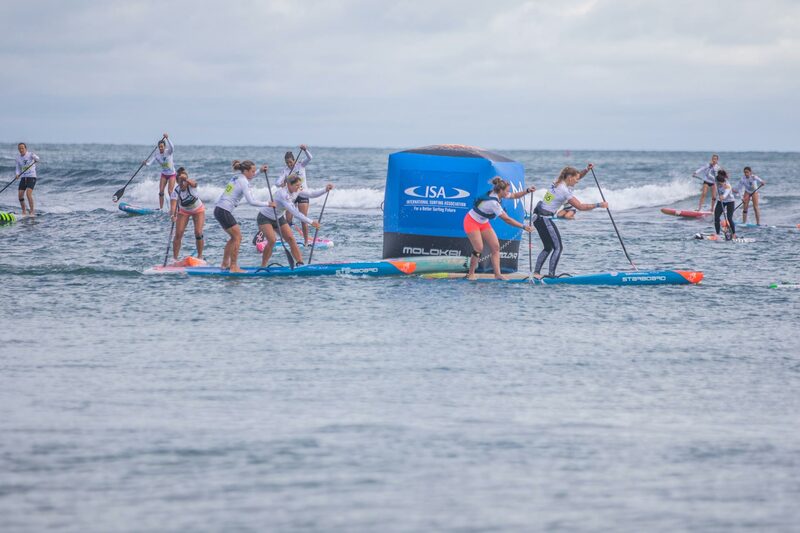 The Starboard Dream Team Rider originally qualified for SUP Surfing and was looking forward to defending her 2017 ISA SUP Surfing title from last year, where she was crowned Women’s SUP Surfing Champ in Cold Hawaii, Denmark. 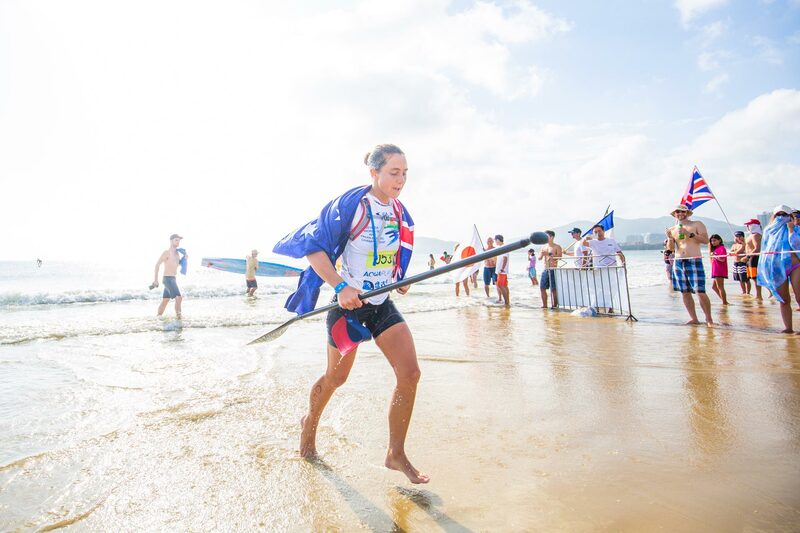 In a dramatic series of event’s, Shak found herself entered in both the Women’s SUP Tech Beach and Long Distance events. 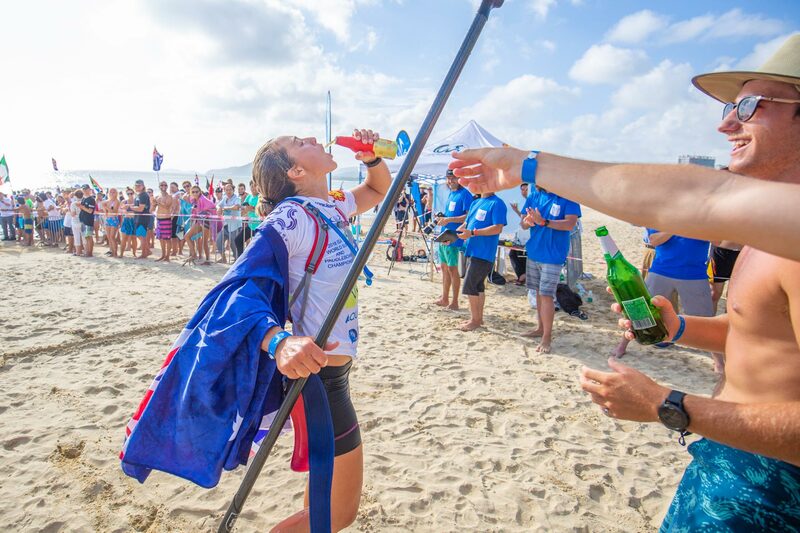 Read on a Shakira recaps her account of the 2018 SUP World Champs where her amazing all-round performances aided Team Australia in earning their countries sixth Team Gold Medal! 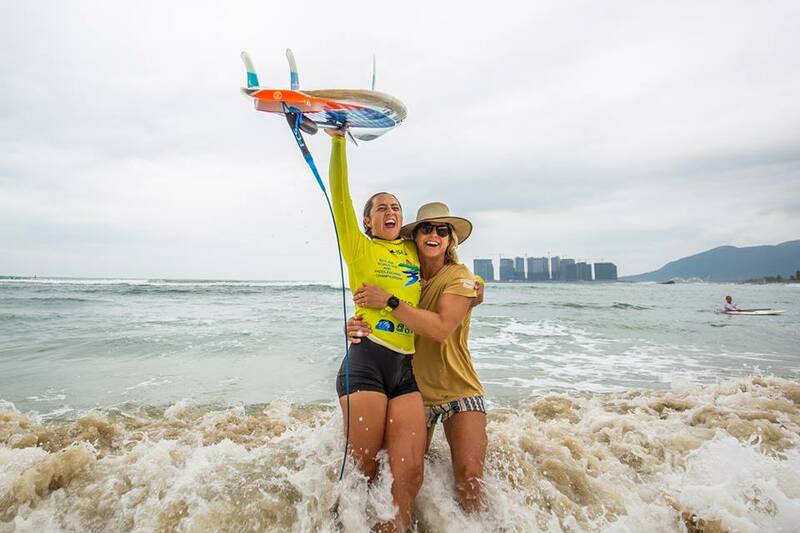 “Originally the ISA world titles were to be held in Brazil, but due to some government issues, there was a late change to Riyuewan, Hainan Island, China. I was actually pretty stoked about the change as I had heard good things about this wave and has been a place I have wanted to surf! 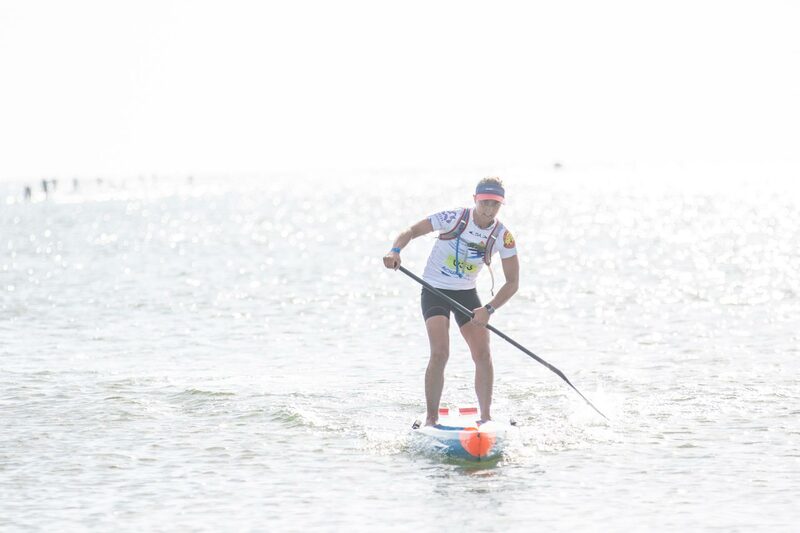 I was only qualified for the SUP surf discipline but about 6 weeks out our technical racer had to pull out due to injury so I got the 12’6 out and started race training. About 4 weeks out, our distance racer pulled out due to injury also. Our team manager asked if I could do the distance now too… ahhhhhhh!!!!! I said yes as these were crucial points for Team Australia and the overall team point score. I landed in Haikou, Hainan island and no boards arrived. They got held up at Hong Kong. I had my surf SUP in the same cover as my 12’6 and they said they wouldn’t send it because it was too long (this was after a guarantee that it was going to be all good from the airline). After days of trying to talk English and Chinese to each other and some much-needed help from Maggie the starboard Taiwan distributor they took my surf SUP out and sent it. It landed a day before the competition started. The event kicked off with the SUP surfing first up. Waves were pretty fun and clean for the first 4 days. I had a great first heat, was feeling really good and felt I was surfing strong. Heat 2 was another story!! Had a bit of a hiccup and felt sticky and sluggish and got sent to the repo rounds. In the repo rounds, you end up surfing double to get to the final. It can be both a positive o negative. I took it as a positive being able to surf this break a few more times and get myself back together again. Next day I had 3 repo heats and surfed all of them pretty strong and had some nice heat scores. I had 9 or the top 10 wave scores by the end of the day. I was feeling good again and confident that I could take the event out. Finals day the waves backed off a touch but there was still some fun sets. I was excited and nervous for the day. I had to get through 2 repo heats before I made the final. 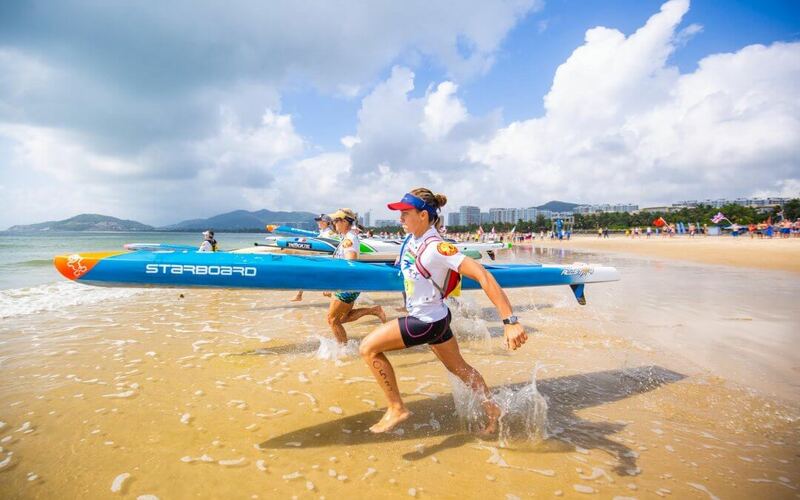 For the final round I found myself up against Starboard teammate Iballa Moreno (Spain), Stella Smith (NZ) and Yuuka Horikoshi (Japan). We traded waves for the 25 minute final and I had a couple of 7 point rides which was enough for the win – I was so stoked! 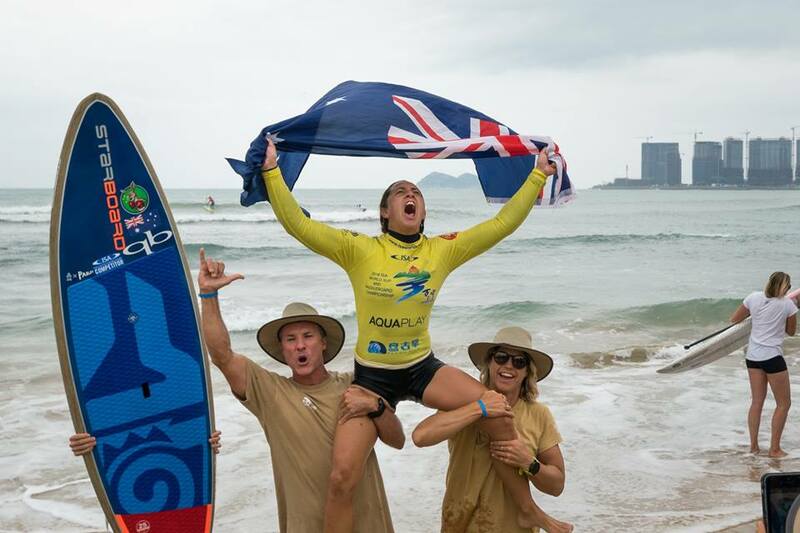 Being able to secure the Women’s SUP Surfing World Title for the 3rd year in a row was a huge achievement for me and something nobody has done! I was riding the 2019 7’0 x 24 pro. Flax balsa. The board performed really good. It felt nice on rail throughout the turn. It had a nice tail release and pop on the top turn. Time for a few celebratory beers with the team. Not too many though because it was race day tomorrow! With the short amount of training time and the fact I hadn’t raced in 4 years meant I wasn’t sure how I was going to perform in the racing. I also still didn’t have a board. Lucky Ollie Houghton from New Zealand let me borrow his board. The good thing competing with Starboard gear is that we always race stock boards which meant I could borrow the exact same board I was used to – the 12’6 x 23 All Star. In the heat, I felt really good and got out to an early lead and took the win. The final was stacked. All the name racers where there and I was a bit nervous. I had a good start and there was a tight bunch at the front. As the race went on the field started to spread out and I was in 3rd, just behind the top 2. I just couldn’t quite catch Candice Appleby (USA) who ended up winning and Aussie teammate Terrene Black 2nd and I came over the line 3rd. Stoked!!! Next up the distance race. Ahhhhh definitely not my first choice of things to do during the day, to paddle 18km in the hot and flat but I was kind of excited to see how I would go. I definitely didn’t get enough time to train for this race but was ready to give it a crack. Started off nice, wash riding Terrene and hit the first downwind leg. Was in 2nd and grinder back to the leader Oliver Piana but she was too strong in the 2nd downwind leg and I was pretty gassed. Terrene caught me on Lap 3 and I was just trying to hold on!! Ended up with a 3rd…. so stoked!!!!! The course was pretty brutal with only one downwind leg on each lap and the rest was side shore.